Home > News > Library News > Captivating stories – enlarge our world experience and our vocabulary! Great stories captivate our imagination whether it be in print, audio format or on film. Great stories to transport us to another world, impact our understanding or change our point of view. Students who engage with stories have a more extensive vocabulary, improve their communication skills and have a deeper understanding of human nature and how to tackle the challenges that life can present. 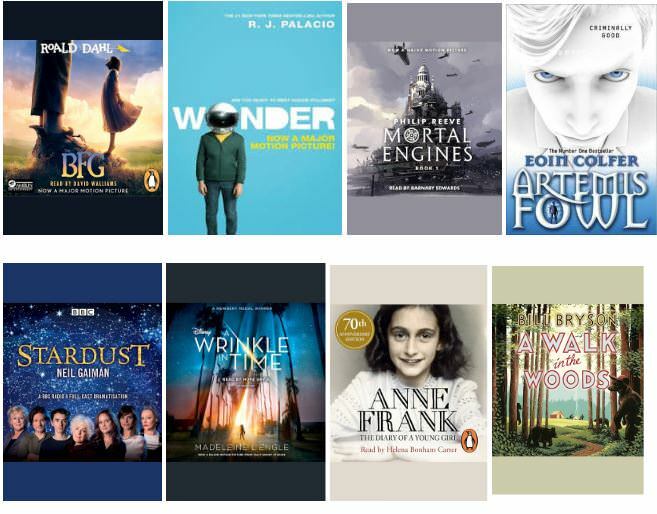 Secondary students can also access a wide range of eBooks from the ePlatform (1200+). These titles can be downloaded and read on any device at any time. Students login using their school login details. Primary students are encouraged to explore audiobooks through the Sunshine Coast Council Libraries free eAudiobooks. To access eAudiobooks all you need is an internet connection, library card and some free software. Students can enjoy titles on a computer, tablet, mobile phone or MP3 player. For more details and to access the help pages go to Sunshine Coast Libraries eAudiobooks. We encourage students and families to take some time over the holidays to settle into a great story. So ‘turn the page’, ‘swipe on the iPad’ or listen to an excellent narrator through the comfort of your headphones! Happy Easter from the Library Team! This entry was posted in Library News on April 4, 2019 by sandy.